Osher Gunsberg, one of Australia's most loved celebrities, opens up in a powerful, dark, funny and heartwrenching memoir about life, love and living with mental illness. It's hard to remember a time when Osher Gunsberg (or Andrew G as he was then) wasn't on TV - he's just always been there, looking at ease in the spotlight, beaming a big smile, with a questionable haircut. He was there hanging out with The Offspring backstage at the Warped Tour on Channel V; announcing to a national audience of three million people that Guy Sebastian was our first Australian Idol; and later capturing the heart of the nation by hosting every season of The Bachelor, The Bachelorette and now Bachelor in Paradise. 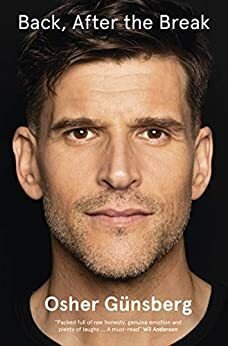 Osher Günsberg, one of Australia's most loved celebrities, opens up in a powerful, dark, funny and heart-wrenching memoir about life, love and living with mental illness.